Chiesi has had the book thrown at it by the PMCPA and faces the shame of a public reprimand - its second in two years from the organisation which enforces the ABPI Code of Practice. The PMCPA will also launch an audit of Chiesi’s procedures in March next year, after finding that the company provided inaccurate information: this means there could yet be more punishment to come. The panel investigating the matter said it was “extremely disappointed by the conduct of Chiesi” - which in the diplomatic language of pharma self-regulation is about as strong as it gets. The problems stem from the promotion of Chiesi’s asthma drug Fostair, which also raised the PMCPA’s ire in a separate case earlier this year. In June, Chiesi was publicly reprimanded by the PMCPA part for promoting Fostair off-label. The new case comes after a complaint by AstraZeneca (manufacturer of rival asthma treatment Symbicourt) about a Fostair leavepiece issued by Chiesi. AstraZeneca said that ‘for an extra fine day’, immediately below ‘New licence for Maintenance And Reliever Therapy’ on page one of the leavepiece suggested that patients returned to an improved pre-symptom state with Fostair. The Panel accepted that the use of ‘for an extra fine day’ was a play on words but considered that the heading to page one ‘was not sufficiently clear’ about what ‘extra fine’ referred to. “There was an implication that it referred to a clinical benefit and not just to the product’s formulation as submitted by Chiesi and it was ambiguous in this regard,” it found. The implication that use of the product for the new licence provided an ‘extra’ clinical benefit over and above an appropriate comparator was misleading, with Chiesi providing no data to support such an advantage. Therefore the claim ‘New licence for Maintenance And Reliever Therapy for an extra fine day’ was “ambiguous, misleading and could not be substantiated”. If the case had rested there, then it perhaps the PMCPA would not have seen the need for a public reprimand. However, after being notified by the panel of its ruling AstraZeneca wrote to the PMCPA saying it was surprised by the first paragraph of the ruling, which implied that during inter-company dialogue EXTRA FINE was put into upper case for emphasis - this was at odds with the leavepiece upon which AstraZeneca had based its complaint, a copy of which it provided. Chiesi advised the PMCPA that a product manager had unilaterally altered the leavepiece after it had been electronically certified, so that ‘extra fine’ read ‘EXTRA FINE’. The panel did not accept Chiesi’s conclusion that this was evidence of a lone employee failing to accord with approved standard operating procedures (SOPs), because other Chiesi employees had been copied in on the relevant employee’s emails to the agency which produced the leavepiece. Also, “it should have been abundantly clear to each signatory that the version provided for certification was not in its final form as required by the Code and the relevant SOP”. The PMCPA thought this raised concerns about the competence of each of the Code signatories given each had certified that they had examined the final form of the material: this was “a matter of concern and raised questions about the importance of compliance within the company”. 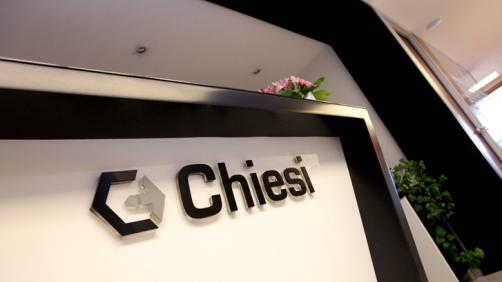 The panel was concerned that Chiesi had not noted the discrepancy: “that the company only became aware of the matter when it was notified of the Panel’s rulings was unacceptable”. It further transpired that the company’s original undertaking in this case incorrectly stated that the material was last used on 17 March 2013, and that was not so. A revised undertaking with a later date of final use had been provided. On considering the report the Appeal Board noted that as a result of staff failing to follow the relevant company SOP, the final printed version of the leavepiece at issue featured ‘EXTRA FINE’ in upper case whereas the copy approved by Chiesi’s signatories featured ‘extra fine’ in lower case. Chiesi had provided the ‘lower case’ copy of the leavepiece in its response to the complaint without checking that that copy matched the final printed file ‘upper case’ copy; this despite the fact that in inter-company dialogue and throughout the complaints procedure, both parties had consistently referred to ‘EXTRA FINE’ in upper case. In the Appeal Board’s view, the discrepancy between the two versions of the leavepiece should have been obvious to Chiesi from the outset. Chiesi had not certified the final form of the leavepiece. The PDF certified was not the final form as some of the pages were not the correct size and, in addition, the version certified used ‘extra fine’ in lower case and not ‘EXTRA FINE’ in upper case as on the final version. Neither the product manager nor the signatories had followed the company’s SOP. The Appeal Board also noted ‘with concern’ that Chiesi’s original undertaking and assurance in respect of the breaches ruled in this case was incorrect with regard to the final date on which the leavepiece was used. Chiesi had previously been censured for providing the PMCPA with inaccurate information (Case AUTH/2435/8/11) when Chiesi was again publicly reprimanded and audited in March 2012 and October 2012, after which there was a recommendation that “Chiesi needed to ensure…that all information provided to the PMCPA was accurate”. The Appeal Board now considered that Chiesi’s “repeated failure to provide accurate information to the PMCPA was completely unacceptable”. “Self-regulation relied upon the provision of complete and accurate information by pharmaceutical companies,” it said, and decided on the public reprimand. The panel found Chiesi had breached clause 7.2 (“information, claims and comparisons must be accurate, balanced, fair, objective and unambiguous”), 7.4 (“Any information, claim or comparison must be capable of substantiation”) and 9.1 (“High standards must be maintained at all times”). The manufacturer will also have to comply with an audit and take a public reprimand on the chin. It has not appealed the decision. Because there will be an audit of Chiesi’s procedures in relation to the Code (under paragraph 13.6 of the Constitution and Procedure), the final case report will be delayed.